The best way to start any day is with a fresh cup of coffee here at Beacher’s Lodge. You can walk out onto your balcony, overlooking the beautiful coastline. Listen to the waves crashing, and watch the sunrise over the ocean. Enjoy the picturesque scenery with a quiet and serene surrounding. St. Augustine is home to an enormous farmer’s market that takes place every weekend. You can enjoy fresh foods from local vendors, as well as an assortment of other locally made products that are perfect for your collection at home. In addition, the farmer’s market is an excellent way to explore the area and meet a few locals. If you’re a fishing fan, the Princess Place Preserve offers a world-class experience. It is just a short drive from the lodge, and you can spend a whole day on the water. The old lodge is a monument to the Princess who lived there in the late 1800s, and the preserve is filled with amazing trails and chances to see the wildlife. You can spend a whole day here just exploring. The First Coast is home to San Sebastian Winery. This local winery boasts the tastes of florida in each and every wine they produce. You can enjoy a tour of the winery as well as an educational and entertaining tasting. If wine is not your thing, give our local distillery a try. The St. Augustine Distillery is a local favorite. The spirits that are created there are truly inspired by the spirit of St. Augustine, both current and past. If you like a good ole’ fashioned screwdriver we suggest you try the Florida Cane Vodka with your orange juice while you enjoy a true Florida evening sitting on your Beacher’s Balcony. Each suite at the Beacher’s Lodge offers a kitchen so you can enjoy a home cooked meal with your family. Take it out onto the patio and eat your meal while enjoying the same view that you woke up with. Have a romantic dinner oceanfront and listen to the music of the waves crashing on the beach. Here at Beacher’s Lodge, you could have your dream vacation experience any day of the week. 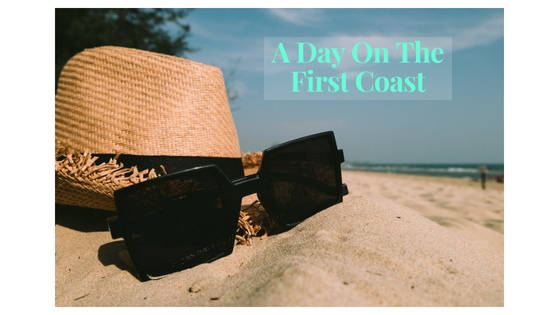 There is so much to do in the area, come enjoy a Day on the First Coast with us!